The Potomac Nationals (49-40, 11-9) bested the Frederick Keys (42-48, 10-13) by the score of 7-5 in a seesaw hitfest on Saturday evening at Harry Grove Stadium in the second game of a four-game road series. 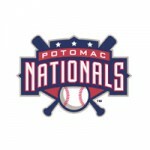 The Potomac Nationals (8-8) had their opportunities but could not rally past the Myrtle Beach Pelicans (11-7) who blanked Potomac in a 2-0 victory on Sunday night at Pfitzner Stadium. The Potomac Nationals (6-7) dropped the opening game of their series against the Myrtle Beach Pelicans (10-5) 4-2 on a sold out Independence Day extravaganza at Pfitzner Stadium. 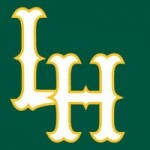 LHP Chad Bell (W, 3-0) allowed just two hits in five innings to earn the win for Myrtle Beach. The Potomac Nationals (44-37, 6-6) were blanked by the Wilmington Blue Rocks (39-43, 6-8) in a shortened series Game Two that was completed in seven innings at Frawley Stadium on Wednesday evening in 4-0 fashion. The Potomac Nationals (32-27, 16-16) shocked the Wilmington Blue Rocks (29-30, 16-14) with two runs in the 9th inning to take a 3-2 rubber match victory on Thursday night at Frawley Stadium which inked their seventh series win of the 2014 campaign. The Potomac Nationals (30-26, 16-11) renewed more magic at Pfitzner Stadium on Monday night with a three-run 9th inning to claim a 5-4 walk-off victory to complete a four-game sweep of the Salem Red Sox (27-29, 13-15). 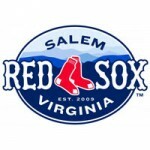 The Potomac Nationals (28-26, 14-11) knocked home seven runs in a wild seventh inning to defeat the Salem Red Sox (27-27, 13-13) at Pfitzner Stadium by the score of 8-1 on Saturday night. The Potomac Nationals (25-26, 13-15) were blanked by the Winston-Salem Dash (21-30, 10-14) in Game Two at BB&T Ballpark on Wednesday night after Dash starter, RHP Myles Jaye turned in his first career nine-inning, complete-game shutout en route to a 4-0 win. The Potomac Nationals (25-25, 13-14) were bested by the Winston-Salem Dash (20-30, 9-14) by the final score of 8-2 at BB&T Ballpark on Tuesday evening in the series opener of a three-game series to wrap a two-city bus trip. The Potomac Nationals (20-16, 10-8) got rocked by the Frederick Keys (17-20, 7-12) on Wednesday afternoon at Harry Grove Stadium in a matinee contest by the final score of 12-5.